Bamia is such a hearty stew despite the number of ingredients. I love serving this on a cold day with a bed of rice and a salad. You can make this recipe vegetarian by omitting the beef without the flavor being compromised. 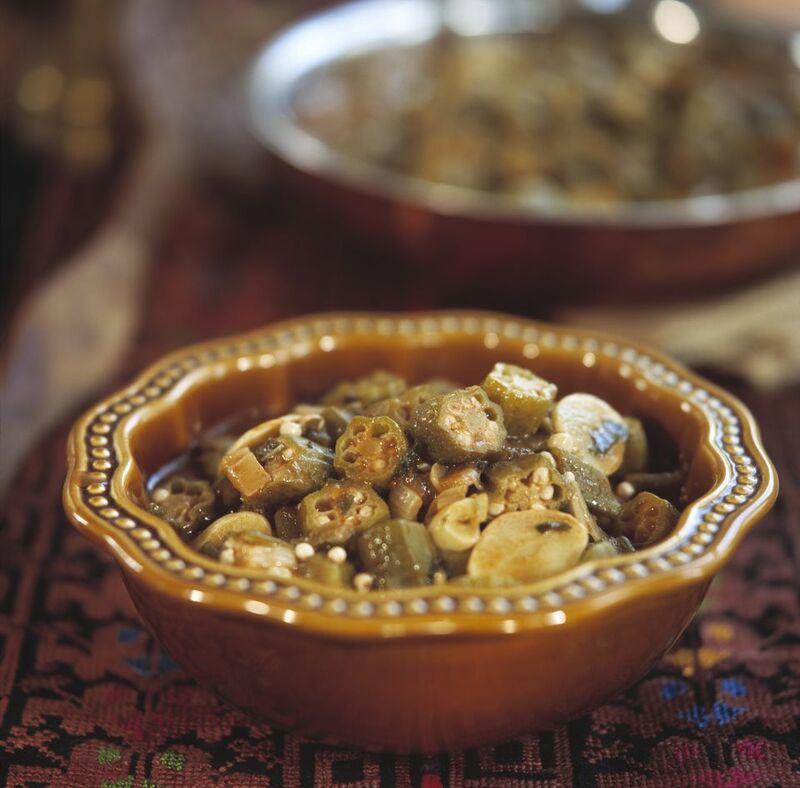 I love making bamia, but the time to prepare the fresh okra ​can be really consuming. Plus, it is not also readily available at the market. Using frozen okra in bamia really cuts back on the time, but does not compromise the flavor. Okra -- also known as okro -- has been called "ladies' fingers." It grows from a flowering plant in the mallow family. It is valued for its edible green seed pods. Native to North-East Africa, Okra has been dubbed one of the most nutritious vegetables in Africa. The plant is often cultivated across tropical and warm regions around the world. Bamia grows best in dry, rich soil. It is low in calories. They contain only 30 calories per 100 grams. Okra is rich in dietary fiber, minerals, and vitamins. It's often recommended by nutritionists to help control cholesterol. The pods offer a healthy dose of vitamin A and flavonoid anti-oxidants. Fresh pods are a good source of folates. They are rich in B-complex vitamins, such as niacin, vitamin B-6 , thiamin and pantothenic acid. Okra contains large amounts of vitamin K, which is good for blood clotting enzymes and bone strengthening. Add crushed tomatoes, stirring well with meat, garlic and onion. Add cumin, coriander, salt and pepper, and allspice. Add water and tomato puree. Stir and combine well. The sauce should thicken as it cooks. If it does not, add 1/2 cup all-purpose flour.